The year is 1793, Stockholm. King Gustav of Sweden has been assassinated, years of foreign wars have emptied the treasuries, and the realm is governed by a self-interested elite, leaving its citizens to suffer. On the streets, malcontent and paranoia abound. 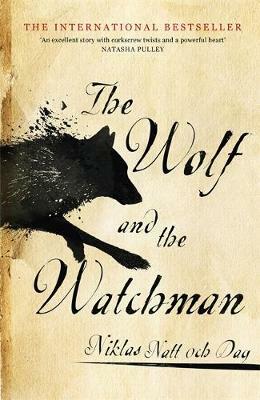 A body is found in the city's swamp by a watchman, Mickel Cardell, and the case is handed over to investigator Cecil Winge, who is dying of consumption. Together, Winge and Cardell become embroiled in a brutal world of guttersnipes and thieves, mercenaries and madams, and one death will expose a city rotten with corruption beneath its powdered and painted veneer. The Wolf and the Watchman is by Niklas Natt och Dag. In the sixth Jackson Lamb thriller by Mick Herron, in Slough House memories are stirring, all of them bad. And with winter taking its grip Jackson Lamb would sooner be left brooding in peace, but even he can’t ignore the dried blood on his carpets. So when the man responsible breaks cover at last, Lamb sends the slow horses out to even the score. This time they are heading into joe country. And they’re not all coming home.